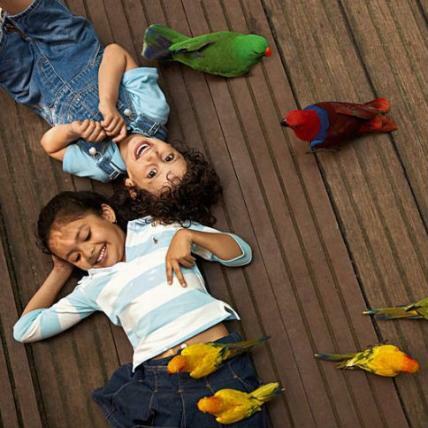 WE HAVE SELECTED THE BEST ACTIVITIES FOR CHILDREN AND FAMILIES IN SINGAPORE! Kids Watch for Free! EVERYDAY! 10 minutes' walk from Kovan MRT Station, Hougang, Singapore. Crochet a Crunchy Carrot for Easter! Family Yoga - Fun for all! Little Paddington's Earth Day Open House. Savings of S500! Singapore is in full swing preparing for the Easter holidays. Many parents are looking forward to having a break from work, getting out of the house and spending some quality family time together. Expect so much more than Easter egg hunts – the capital is promising Easter fairs, theatrical performances, holiday brunch parties, cooking classes, craft workshops, children's camps and more this year. We have rounded up the key family events and activities to help your family make the most of the Easter season. The iconic Esplanade Theatre Studio, widely famous for its committed family vibe, is currently premiering the newest kids' show The Dragon's Dentist, with tickets on sale now. 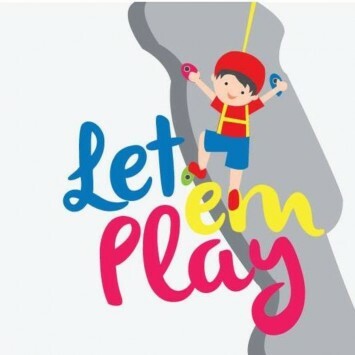 The PLAYtime interactive theatre series by Esplanade has never let parents down when it comes to kids’ shows. 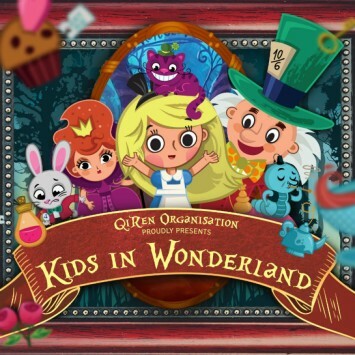 This time, their creative production team promises festive madness for under-sixes and to keep the whole family happily entertained. Last week, joining theatregoers from Singapore, TickiKids Test Patrol attended Esplanade to watch The Dragon's Dentist, a much anticipated performance about a daring adventure of the dragon dentist, his apprentice and poor mythical creature that suffers from toothache. Their overall verdict? 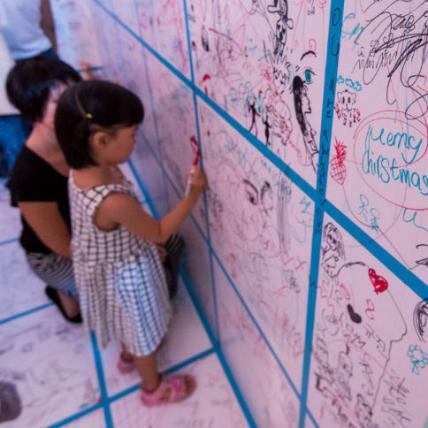 From baby to adult, all Singaporeans sure do love Chinese New Year. From putting up festive-themed decorations, family get-togethers, firecrackers and giving red envelopes to the annual dragon and lion dances, fireworks and street parades, the seasonal city schedule is packed full of Chinese festive traditions. And luckily for those parents who want to spend more quality time with their little loved ones, there are options aplenty for all ages. Here are 10 of our favourite things to do with kids in Singapore for Chinese New Year 2019. Read on and you will be sure to find something your family loves. “Tis the season to be jolly,” ‒ is the phrase from the lyrics to a classic Christmas carol. Go ahead and take it as a welcome excuse to chill out and treat your family to a day of festive fun! Christmas holidays give a guilt-free opportunity to focus on those you love most. This time around, we’ve prepared 15 ultimate ways to spread holiday cheer without stressing yourself out. Singapore is starting to enter into the yuletide spirit as Christmas creeps up ever closer, bringing with it a tantalising aroma of spices, cheerful sounds of carols, and an eye-catching array of candles and wreaths, whilst Orchard Road is beautifully illuminated with twinkling rows of fairy lights. Christmas is one of the most magical and happiest times of the year for everyone and especially for children. But scrabbling around for secret Santa gifts in a hasty manner can cause waves of tension and trepidation, especially when leaving insufficient time to devote to the task, and being unable to find the right choice of gift to suit your loved ones. TickiKids reveals this year’s best heart-warming presents to put under the tree for everybody from toddlers to adults and all those in between. With our selection on offer all available to buy online, this Christmas even Santa will be jealous. Start your seasonal shopping and be merry! We are delighted to welcome you to our annual TickiKids School Holiday Camps Guide. Plenty of parents would say that choosing the best camp for your child can be a tricky task, best suited to a psychic. There are a mind-boggling number of options on offer. But let us reassure you ‒ your sixth sense makes no difference, as we have done most of the hard work for you. The ideal camp is out there. 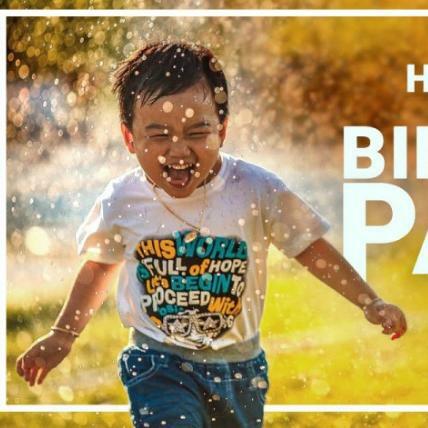 Welcome to the 2nd article about kids’ birthday celebration, as we've rounded up the best birthday party venues for children – the guide you can trust to give you the inside track on the top-notch events for your birthday boys and girls taking place up and down Singapore. Drawing on our hands-on experience in the children's entertainment industry, we know what you want to know and we think like you think. TickiKids’ team of super-sleuths has put their detective skills to good use by thoroughly inspecting the best of the bunch from all angles. Just take our pieces of advice and do yourself a favour: check out the previous article on How to throw the best child’s birthday party and then browse through this one again and again. And hurry: book a venue before it is packed to full capacity. If your mission is to find the best place for your child’s birthday party, these venues might hit the spot. A happy childhood would not be complete without a little time spent in theatres on a family day out. The Esplanade Theatre Studio is a specialist maker of children’s performances. Parents can be sure that their kids will be captivated and will want to return there again and again. Throughout their wonderful performances, kindness, generosity, support and friendship are always on display. 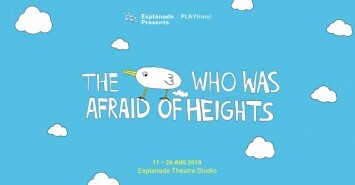 Thus, the Esplanade is currently thrilling the audience with the eagerly anticipated return of The Bird Who Was Afraid of Heights show which is aimed at pre-schoolers and toddlers from 2 years up. Meanwhile, TickiKids’ Test Patrol families were sent there on a juicy assignment and are ready to share their impressions and opinions of the performance. 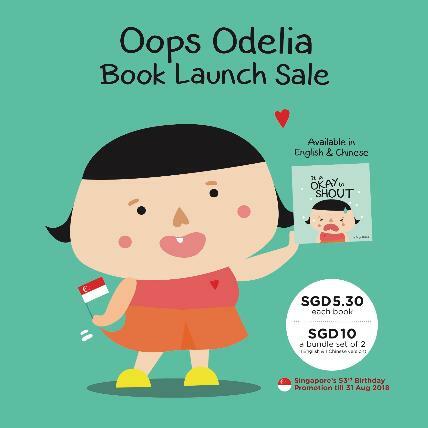 GRAM’S Learning Centre is to launch the Oops Odelia series' first book in August 2018 to coincide with National Day of Singapore celebrating the 53d anniversary of Singapore’s Independence. TickiKids is pleased to present this brand new picture book for pre-schoolers and toddlers entitled It's Okay to Shout, which is all about introducing your kids to first everyday experiences, and developing positive patterns of behaviour in response to a particular situation. This gently educational book with a child-centred sense of fun helps them to consider what is, or is not, appropriate behaviour towards others.TickiKids has decided to help your adorable toddlers take their first big steps in their journey to becoming life-long readers. There is no better chance to start on a journey than with the most recent series from GRAM’S Learning Centre. A child’s birthday party, by name and by nature, is the very best of both worlds. 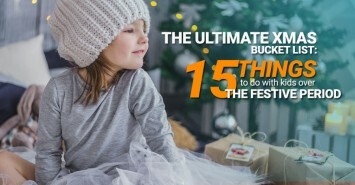 It is meant to be a big event not only in your kiddo’s life ‒ in that it generally allows children to create some pretty fond memories of happy carefree days that would never return ‒ it has the side effect of thrilling the big kid inside parents by joining in with the entertainment activities. Kids’ birthday parties are arguably the most significant events in our childhood, as it is widely accepted that a bright childhood is a key to adult happiness. What better reason do you need to peruse our rundown of how to throw the best child’s birthday party for some inspiration? If you saw an American fantasy-comedy film «Night at the Museum», you know that the main character Larry had to wage an incredible battle to save the Museum of Natural History, hoping to become at last the bold, adventurous dad he had always wanted to be in his son Nick's eyes. 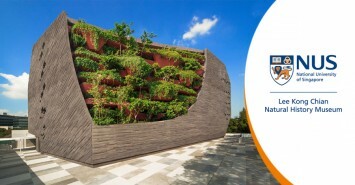 What do you hope to be getting up to when you go to the Lee Kong Chian Natural History Museum? Fantasy-Adventures versus Story of Evolution! We wondered if there is the same mystical story behind its million scientifically fascinating specimens and were very curious to know what happens within its impressive seven-storey building of 8500 square meters. Looking for the next awe-inspiring and immersive masterpiece of art for your little theatregoers? Then we cannot keep quiet about the latest children's theatrical smash hit in Singapore.ABA Productions, an international theatre production company and the host of KidsFest, is preparing to bring to Singapore the eagerly-awaited world premiere of their “Dear Zoo” show. 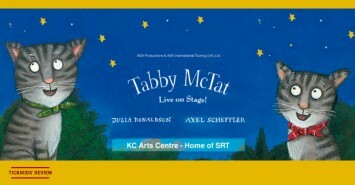 During this tantalising period of anticipation, TickiKids’ Test Patrol families shall attempt to unpick the fantastic phenomenon of the soaraway success recently achieved in Singapore by the sold-out children’s show “Tabby McTat” from the same production group. 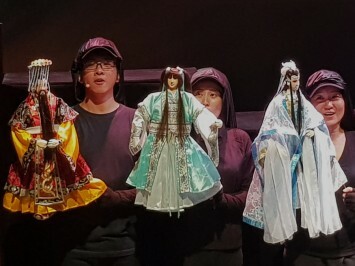 If you made a list of everything you want from a theatre for children, you definitely would not be disappointed by the "Bunny Finds the Right Stuff" show which is currently being shown at the Esplanade Theatre Studio. On 6th May 2018 TickiKids Test Patrol family saw for itself this richly expressive, kind-hearted, warm-spirited performance for children aged 2-6 years. The June School Holidays are nearly here. 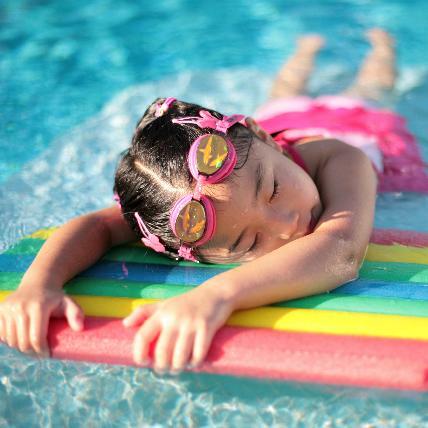 Experience the amazing array of summer camps in Singapore! TickiKids has been fortunate enough to see for ourselves how well the camps in Singapore have designed a variety of programmes to prepare your children for their trip of a lifetime.From English and Mandarin courses to drama, music and art activities, from hardware development, coding, robotics classes to science and engineering adventures, from interactive hands-on ventures to various outdoor pursuits. 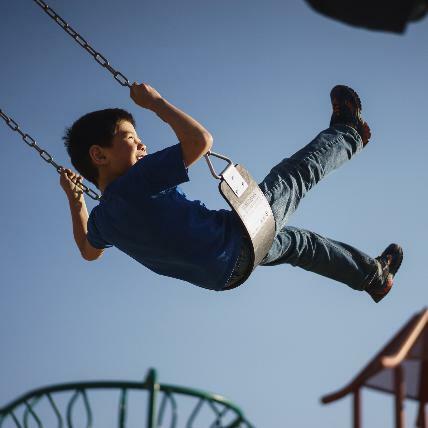 We've got loads of excellent ideas to help you keep the children happy. Nowadays the educational journey for children often starts before they can walk or talk. 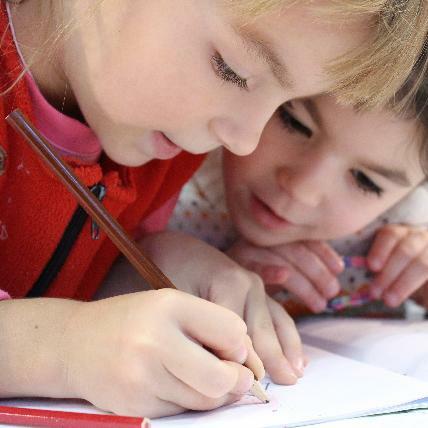 Parents see it as a way to give their loved little ones a head start in lives, so that they succeed through the school years and get to the top colleges later on. Finding the right place that will contribute to the child’s achievements, will develop confidence and love for learning is a challenge many moms and dads face. TickiKids found a great solution to your quest: GRAM’S Learning Centre, a place where your kid’s potential growth is in the center of the attention. 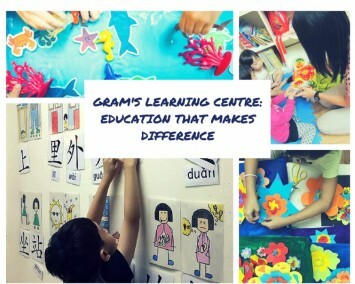 Small class size and unique teaching pedagogy ensure every little student has everything they need to shine!Mrs Yvonne Teo , Centre Manager and Co-Founder, shared with us the story of the center and it’s values, as well as explained what makes learning at GRAM’S so productive and special. And what is more, we learnt everything you may need to know about GooeyGRAM and PictoGRAM from the Program Developers! TickiKids' Test Patrol families visited an amazing Future Food Children Science Workshop held by Euglena Co. The hand-on workshop gave children an opportunity to become a real scientist for a day! March 1 TickiKids Test Patrol families visited Full Dress Rehearsal for The Dog Who Goes Woof Woof at Esplanade Recital Studio. 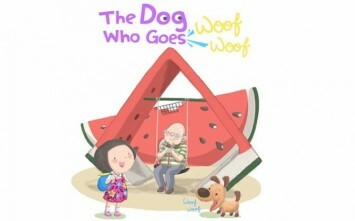 Find out how much kids (and even parents) enjoyed this touching story.Inspired by De große Hund by Andrea Hensgen and The Amazing Sarong by Quek Hong Shin, this play is about lonely child and a dog discovering how friendship can be found in all forms, shapes, sizes, colours and ages, if only the heart is open. February 22 Tickickids Test Patrol families visited Full Dress Rehearsal for Child's Play: The Story of Redhill held at Esplanade Annexe Studio. 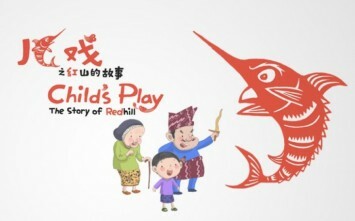 The Story of Redhill is based on Singapore folklore and is produced as a result of collaboration between the director Danny Yeo and 3 Pumpkin Projects. Together they managed to shape a unique and innovative children-only interactive theatre experience. 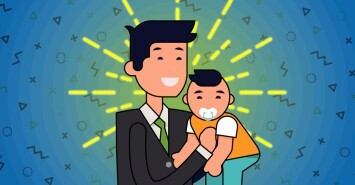 If you are wondering where to find an effective step-by-step survival guidebook for a new father, Bankbazaar has you covered. Here you can find seven things that will make your extended paterinty leave one of the most rewarding times in your life. 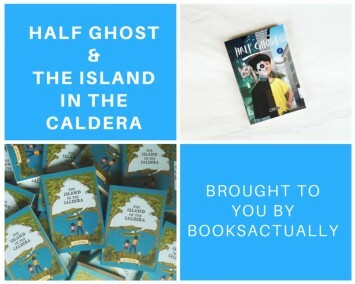 Two young adult novels that are bound to capture your child's imagination brought to you by reading experts BooksActually! 9 Reasons Why Siem Reap Should Be Your Next Travel Destination + Tips! TickiKids presents you some helpful tips for your family trips by BankBazaar.sg, a leading online marketplace in Singapore. Sarah Chong shares her first-hand impressions of visiting Siem Reap, Cambodia. 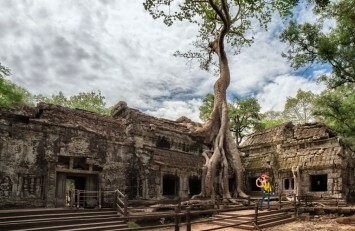 Join her in this pleasant adventure, Siem Reap might be the perfect destination for you as well! One of the most important events in Singapore calendar, Lunar New Year 2018 is just around the corner. 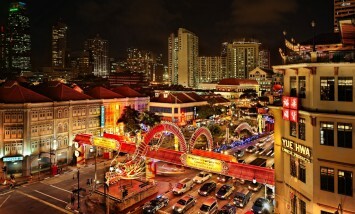 Starting from the last week of January onwards Singapore will amaze you with wide range of CNY festivities. Take your family out to enjoy the city’s jolly vibe, but before that, check TickiKids’ guide on where to go during Chinese New Year holidays. TickiKids Test Partol mom Selena Tay and her family were invited to try out Cruise to Lazarus Island by White Sails. Read the review by Selena to find out more about this amazing island getaway! 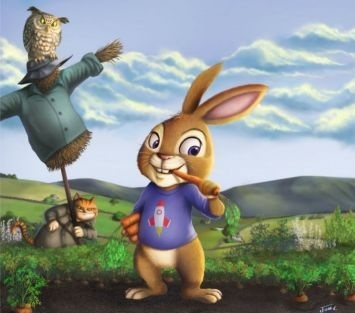 Highbrow: Safe Platform for Kids to Watch Enriching and Educational Digital Content! 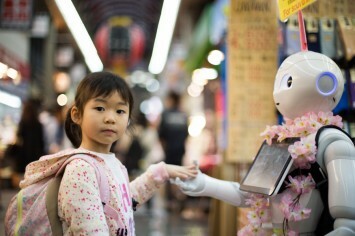 Our kids are growing up in a digital age spending hours in front of a screen. Is there a way to transform this screen-time into safe, meaningful and enriching experience? TickiKids is proud to introduce you to Highbrow, children’s steaming app providing a platform for kids to watch quality educational digital content! In Singapore everything is ready for you and your loved ones to have fun and build incredible memories this holiday season. 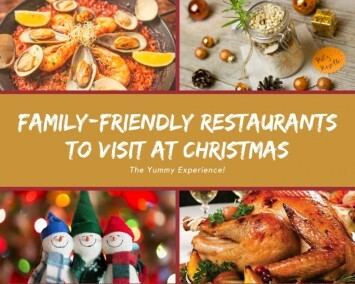 TickiKids picked some of the best locations for families to plunge into the Christmas atmosphere while enjoying delicious food. Here's a list of family-friendly cafes and restaurants to take your kids out during this magic time! Tired of collecting more and more toys at home every holiday season? Let's together think of something different! 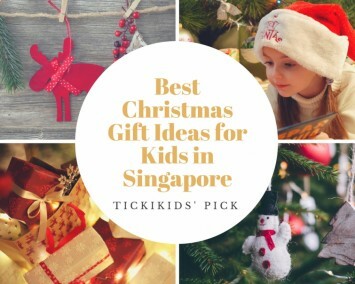 TickiKids has come up with the list of cool Christmas non-toy gift ideas for kids in Singapore (or any time of year, really). 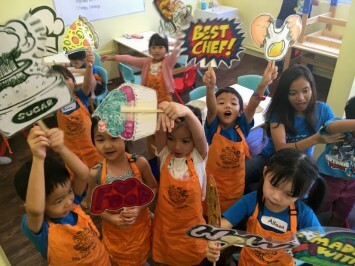 Cooking workshops have become the latest craze all over the world, it's an amazing opportunity for kids and adults to develop their creativity while gaining practical skills. Emily Yeo, founder of The Little Things, discussed with TickiKids the tendencies of culinary education for kids growing in big cities and the rationale behind adding up a cooking class to the busy schedules of modern children, as well as some awesome tips on how to make cooking risk-free. 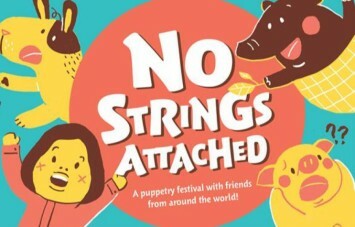 An amazing puppetry festival that featured puppetry artists from all over South-East Asia took place November 3-5 in Goodman Arts Centre! Invited by the hosts of the festival Paper Monkey Theatre, TickiKids Test Patrol families were taken into world where magic, fantasy and imagination holds no boundaries! 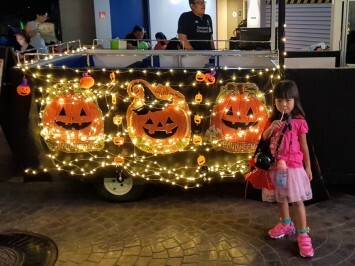 Kidzania Singapore invited TickiKids Test Partol mom Selena Tay and her family to join them in their biggest family friendly Halloween event. Here's what she shared about her and her friend's experience at their kids' first "serious" Halloween event ever! 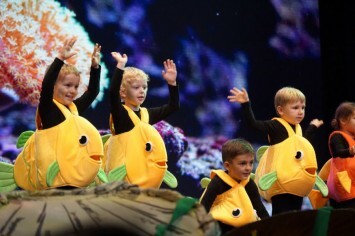 White Lodge's 7 Preschools and Kindergartens across Singapore have presented their annual musical The Rainbow Fish. Find out more about how the show went, as well as about White Lodge's approach to exposing little ones to art. Fun Awaits at Admiralty Park Playground! Admiralty Park Playground is open for young visitors after two years of re-development. 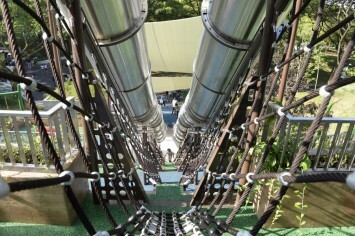 Boasting the largest number of slides in Singapore, the playground offers exciting experience for the whole family. Are you ready to offer your kid an opportunity to have great time in the supportive academic environment? Holiday camps by Discovery Camps provide the essential experiences for keeping kids motivated while ensuring they have all the fun you can imagine. Jasmin Kaur, Discovery Camps' Business Development Manager, shared with TickiKids the details on the work of their team, their partners and, of course, thier upcoming end-of-year holiday camps! 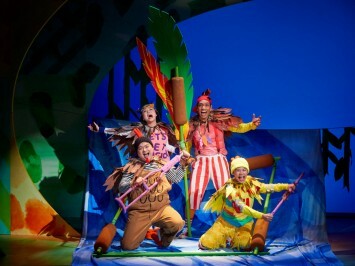 Chicken Little by SRT The Little Company opened on October 25th, so, wasting no time, TickiKids sent Test Patrol mom Ophelia Tam and her 5-year-old daughter, Amelie, to KC Arts Centre to check out the show and to find out what makes this production based on a well-known story so worth seeing. Test Patrol parents Pua Mei Ing, TC Lee and Gary Yeo have visited Kidz Amaze, which is among the best-known indoor venues for children’s fun and recreation in Singapore. They have slid down one of the tallest indoor spiral slides in Asia at Kidz Amaze Jurong, had a blast of a time at foam ball zone in Kidz Amaze Toa Payoh and explored the enchanted deep sea at SPLASH@Kidz Amaze Punggol! 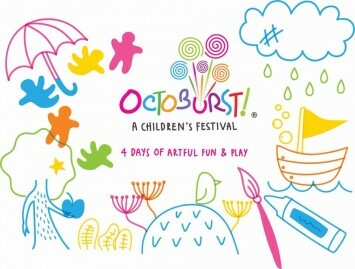 Our Test Patrol mom, Selena Tay, spent 2 days enjoying artful fun and play with her family at Esplanade’s Octoburst! Selena has kindly shared her impressions about the activities and shows of the festival. 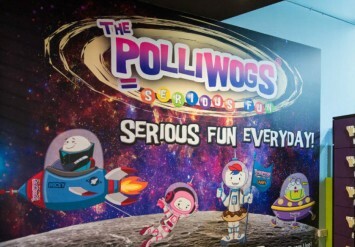 The Polliwogs is one of the best known indoor playground chains in Singapore, and it has 4 branches at the moment. All of its outlets are focused on active play, providing safe and comfortable environment for children to socialize and have fun. Our Test Patrol Families have tested The Polliwogs at Suntec City, The Polliwogs at Eastpoint Mall and Waka Waka by The Polliwogs Annex@Furama. Find out what each of them has to offer! Last week Esplanade invited TickiKids Test Patrol families to a full dress rehearsal of an amazing puppetry production The Magic Paintbrush, which gave them a perfect opportunity to get in the mood for Mid-Autumn Festival, learn more about Chinese culture and the ancient traditional art of puppetry. Check out their impressions and find out about the must-see event that will take place at Esplanade Theatre Studio this weekend! 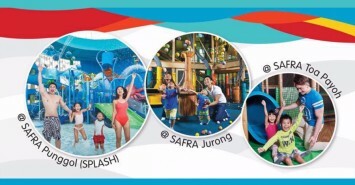 Test Patrol parent that went to try out Adventure Cove Waterpark at Resorts World Sentosa was TickiKids founder, Sergej Belinski, a father of 2 boys aged 7 and 4. 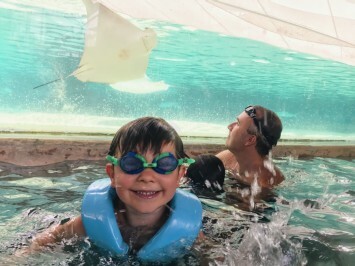 Find out how guys spent their time at the famous water playground and check out their tips for making your family’s experience at the waterpark the best it can be. For my Birthday I Want to… Change the World! Are you tired of your kids getting birthday presents they don’t need? Are you looking for a better way to manage kids’ parties? Are you spending too much time shopping for gifts for your friends' children? Want to make a difference but not sure how? Find out how to make birthday parties more meaningful and hassle-free with Gift-It-Forward! 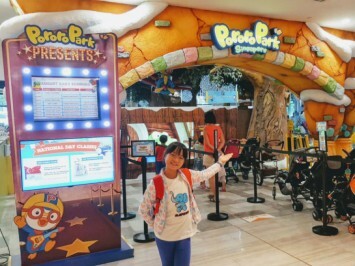 TiсkiKids Test Patrol moms Sylvia Sang and Selena Tay have gone to Pororo Park Singapore, the only Pororo-themed park in South East Asia and the largest character-themed park in Singapore! 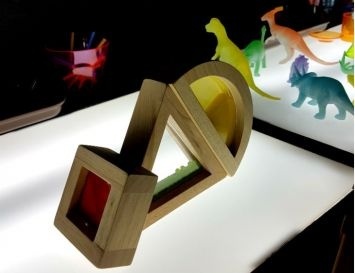 They’ve kindly shared their impressions about this indoor-themed edutainment playground and told us about the experience that their little ones had there. We hope you will find the review useful and that it'll make your visit to Pororo Park Singapore as smooth and fun as it can be! Today climbing is one of the most popular mainstream sports worldwide and one of the most powerful total body workouts available. Who said it is only for adults? 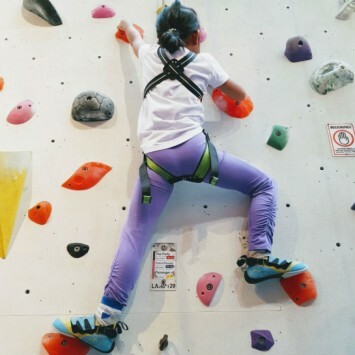 Climb Central proves that this sport can be safe and fun for anyone of age 5 and up! 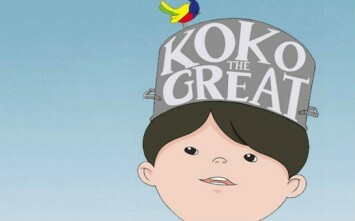 Koko the Great by PLAYtime! August 10-11 TickiKids Test Patrol parents took their kids to check out Koko the Great, a new theatrical production for children from Esplanade’s PLAYtime interactive theatre series. Get to know more about their impressions of the show! One of our Test Patrol Moms, Selena Tay took her family out to test Forest Adventure Tree Top Course at Bedok Reservoir Park. 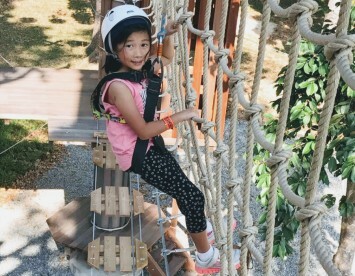 Forest Adventure claims to be the first and only treetop obstacle course in Singapore and it promises unique and unforgettable experience full of fun and adventures for people of all ages. Hope Selena’s review will help you plan your day out with kids and enjoy it to the max! 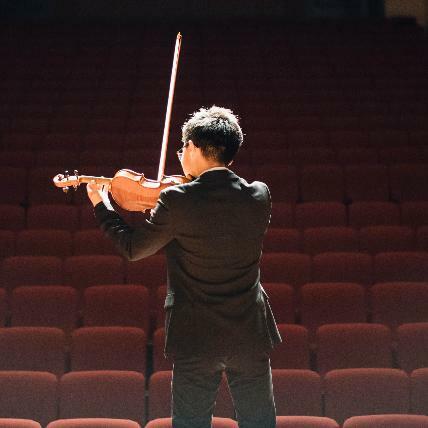 It's no secret that music education plays important role in unlocking kids' cognitive and emotional potential. Learn more about Libitum Music and Art Studio's teaching approach and unusual class formats that make music education engaging and meaningful. Just imagine: one of the most favourite kids’ books comes to life – with all its amazing characters, just as magical as you’ve always imagined them to be – all this happens not on stage, but all around you! Children literally become a part of the story. Now that’s what’s we call interactive! Discover a brand-new edutainment hub by The WOW Experience, one of the best-known companies in the Singapore’s outdoor events industry. TickiKids team attended CBME South East Asia to see what's the news in baby and maternity industry. 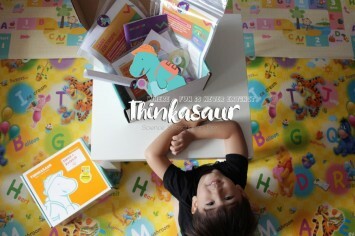 How about having everything your kid needs for do-it-yourself scientific experiments delivered right to your doorstep? With busy schedules and hectic lifestyles, family time has become a precious commodity in life. So this year, make the moments with your loved ones count. Indulge in these offbeat fun activities in Singapore that the whole family will enjoy! 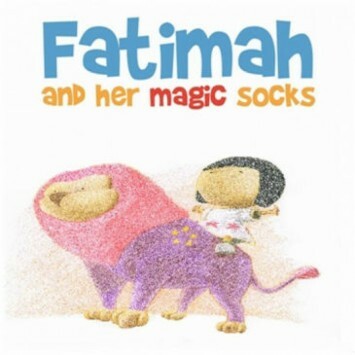 Fatimah and her Magic Socks by PLAYtime! Esplanade’s PLAYtime! Theatre Series 2017 has come up with new fun and interactive productions for the little ones! 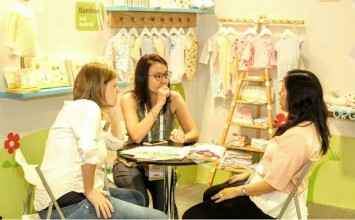 The Children Baby Maternity Industry Expo is Back for Its Third Year Running! 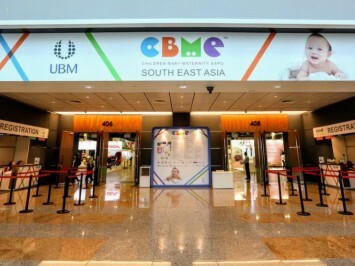 The region's only business-to-business exhibition CBME South East Asia (CBME SEA), will take place in Singapore from 25-27 April 2017. Check out Tickikids' review about Busy Tables, a unique education themed indoor playground that sees its aim in encouraging kids' curiosity and desire to explore. Ever wondered how to inspire your little one to give it a go and try something new in the hope that he or she makes a mark? 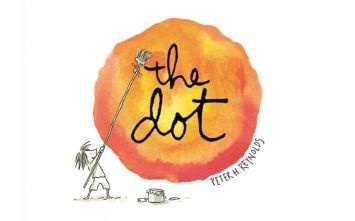 Sometimes it is just as simple as taking the first step and in this case, … making a dot! 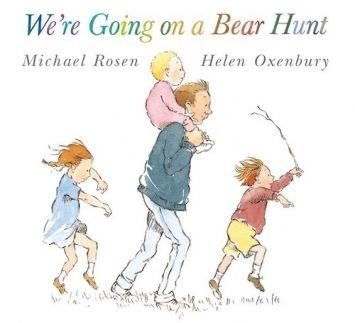 Read the book and sing the song to your little one, and watch them smile and giggle to the many sounds they will experience as you read this book to them. 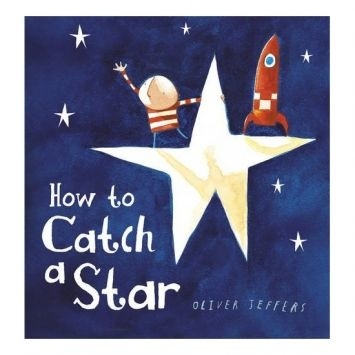 The first book that brought fame and recognition to Oliver Jeffers, a highly talented writer and illustrator who have won multiple awards for the many children’s books. 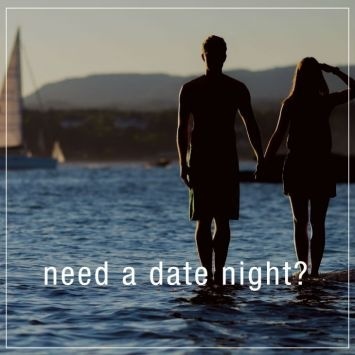 Let Date Fyx Custom Plan Your Perfect Date Night! This one is for you, parents! 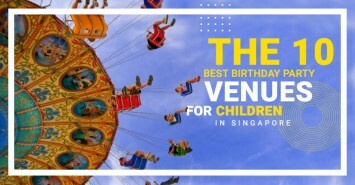 Hot list of the best indoor playgrounds for kids in Singapore. 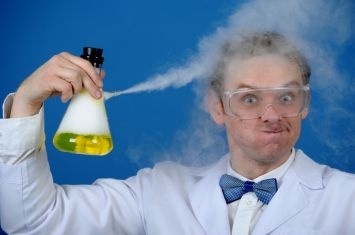 Newton Show: Fun Science That Says “Yes” to Experiments! Science Birthday Parties and more: check out the interview with Yulia Marishchuk, the Owner of Newton International Show. 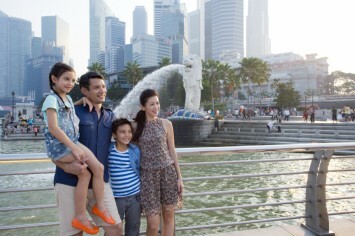 Being one of the most family-friendly Asian cities, Singapore offers an abundance of attractions both children and adults can enjoy. 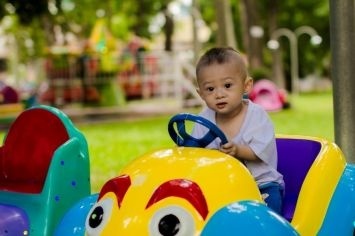 Here’s TickiKids’ pick of top 10 places in Singapore that are worth visiting with kids. 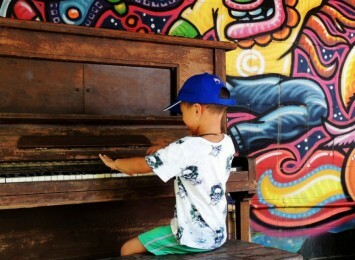 Sign up for a weekly newsletter from Tickikids and get the latest news on the most interesting events for kids and family in Singapore for the weekend!